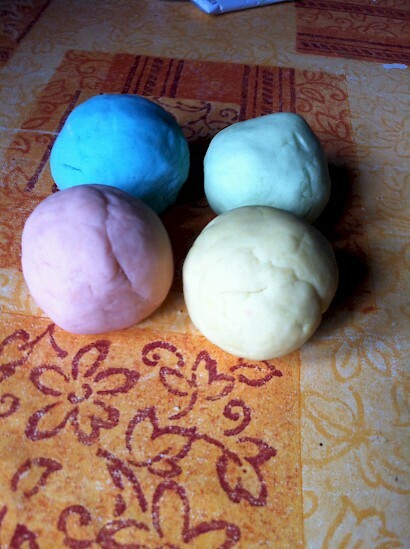 Mountain Mavericks - Our Guide To Making Homemade Playdough! 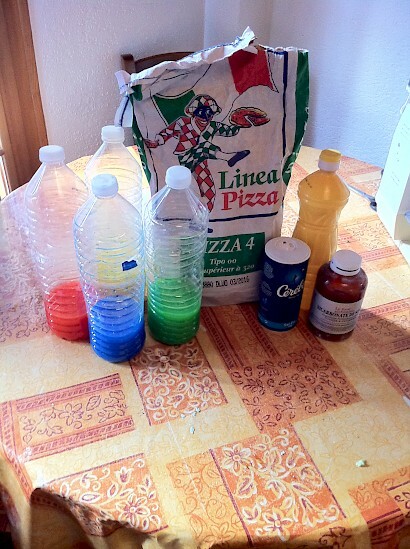 Mini Mavericks Tips: How to make homemade playdough! Skiing is the best way to control kids, keep them active and healthy. But when the lifts close we find that rather than letting the little tikes surf the internet or play games on the Ipad – a more traditional approach is just as fun! 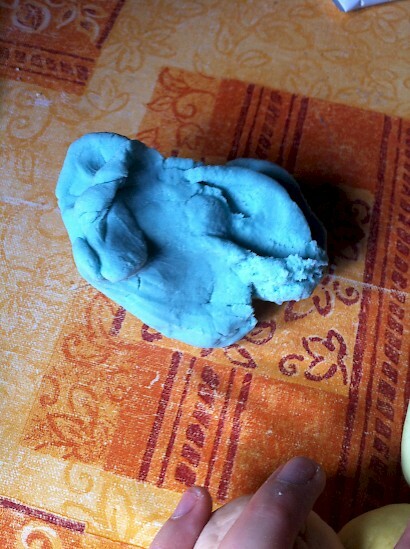 So here Charlotte’s (our new in-house Mini Mavericks Nanny) guide to making Homemade playdough! We are all ready for the winter season here at Mountain Mavericks, I’m especially looking forwards to all the Mini Mavericks arriving in the resort! Alongside playing out in the snow, I love to keep the children entertained with various crafty projects, both indoor and out. This inter-season, I have been raiding the kitchen store room and making different versions of playdough and other types of modelling clay. As an ex art student, I have throughly enjoyed making up lots of activities to keep your children entertained whilst you’re enjoying the mountain. Mountain Mavericks are making a concerted effort to be a lot greener this season. Therefore, I shall also be making sure my crafting is as green as possible too! Being creative doesn’t mean you have to spend lots of money on craft packs and paper etc. All you need is imagination, a kitchen cupboard, and the recycling bag! I can’t wait to see what master pieces my Mini Mavericks create this winter. 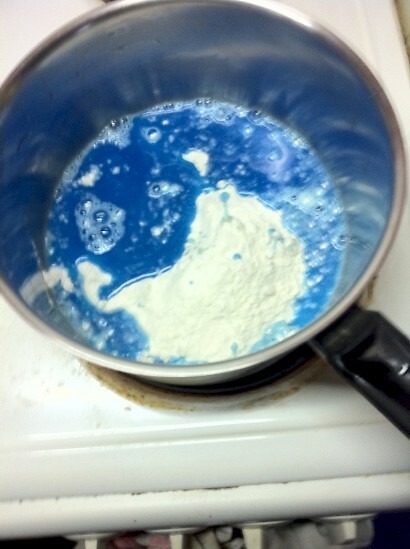 Using a wooden spoon, mix all the ingredients in a saucepan, over a low/medium heat, for about a minute until it starts to looking like a play dough texture. 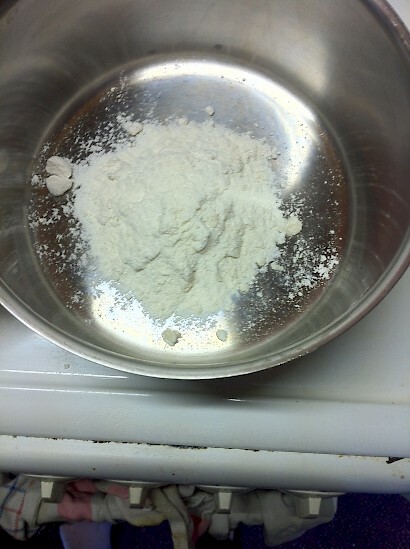 If the dough is slightly wet, mix for a bit longer, or add a sprinkle of flour. Remove the dough onto a clean surface and let it cool enough for you to be able to kneed it. As food colouring tends to stains hands and cloths, I have dissolved blocks of kids water colour to make the liquid colouring. The play dough colours are quite light, but I’m sure they would be stronger if you are brave enough to use food colouring! To make the dough even more exciting, add glitter and other textures can be added to the mix for the children to play with! So give it a go – we guarentee the kids (and adults) will love it! Here are some pictures to help you see what it should look like. But make it up along the way – its way more fun to improvise! Previous: #SorryNotSorry – some pictures of snowy Morzine! Next: Rome Snowboards partners with Mountain Mavericks Chalets in Morzine this winter!